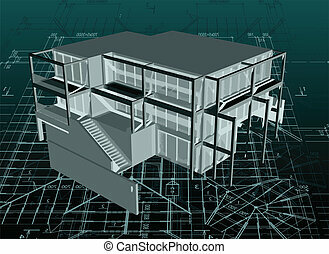 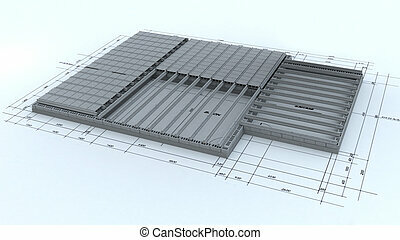 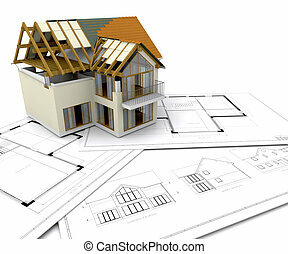 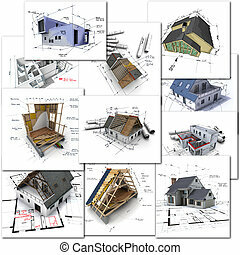 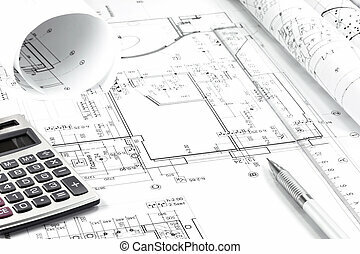 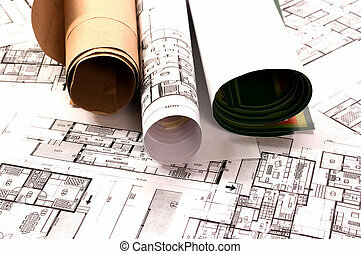 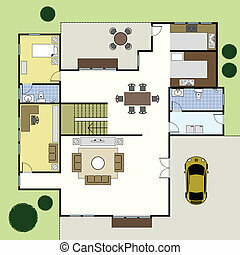 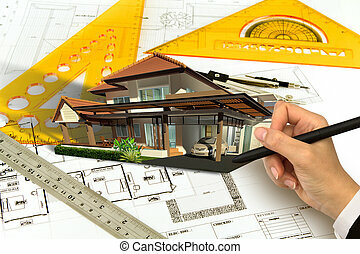 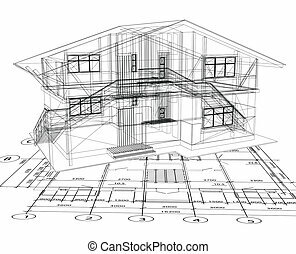 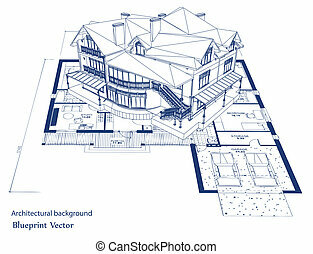 Architecture blueprint of a house. 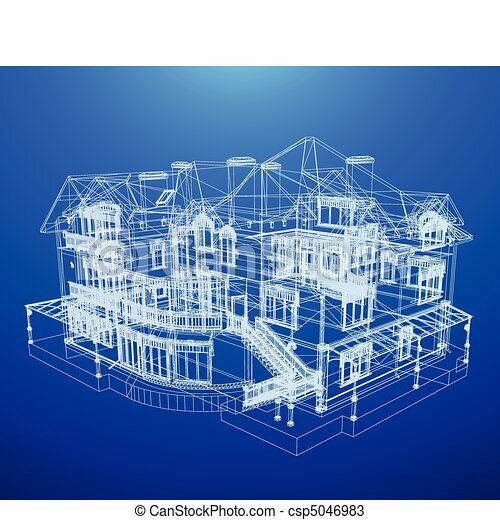 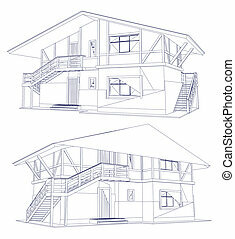 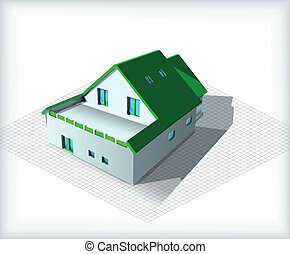 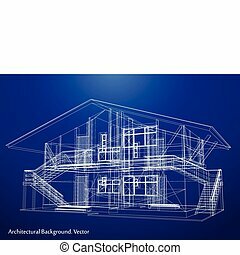 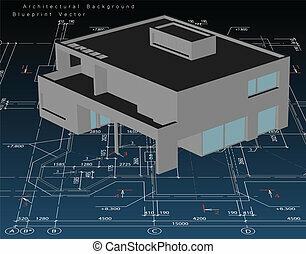 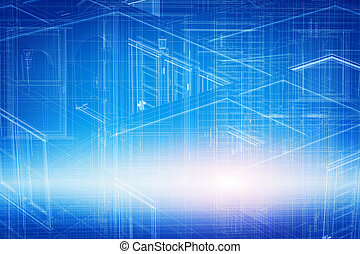 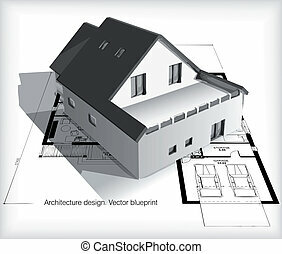 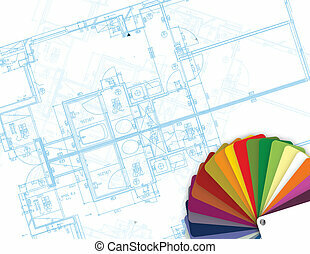 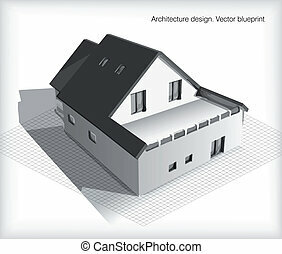 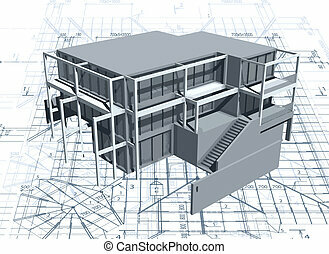 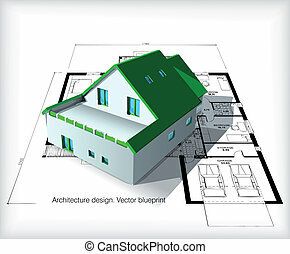 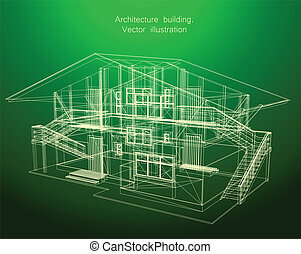 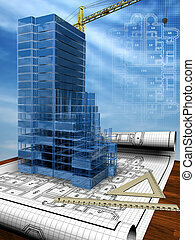 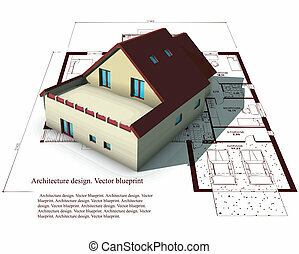 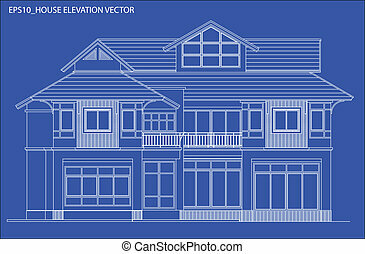 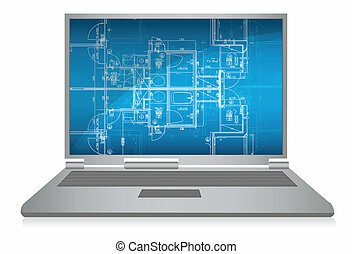 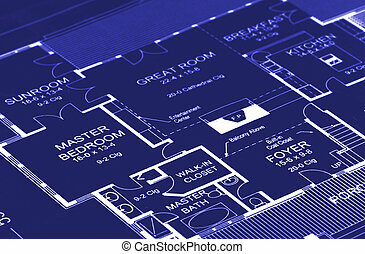 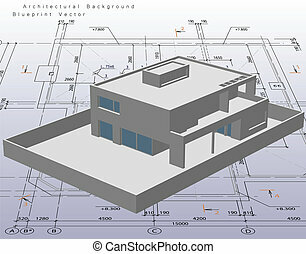 Architecture blueprint of a house over a blue background. 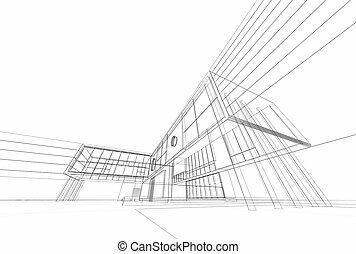 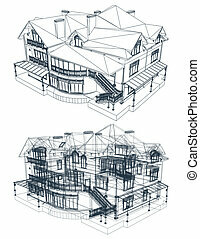 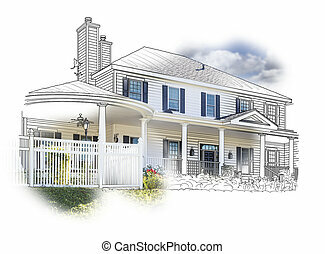 Custom House Drawing and Photo Combination on White Background.